Huawei Technologies is a Chinese multinational networking, communication equipment and services company headquartered in Shenzhen, Guangdong. The company has over 150,000 employees and the overall group revenue for 2014 reached $46.5 billion USD. 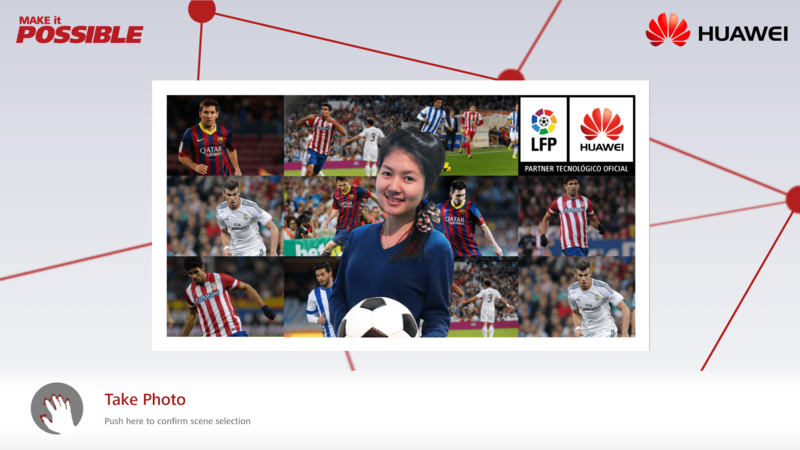 Showcasing Huawei’s technology and partnership with Liga de Fútbol Profesional (LFP), a Huawei stand at the MWC 2014 features interactive, multimedia displays with a football theme. 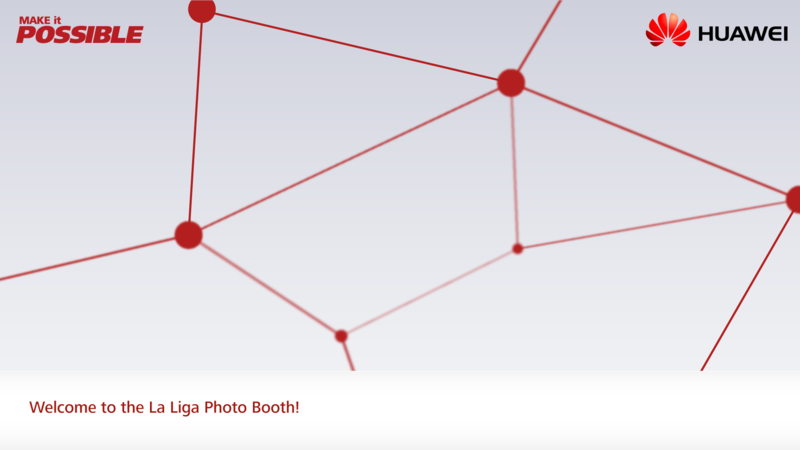 A gesture controlled photo taking app installed in Huawei products provided a deeper connection to the theme and amplified the experience socially. 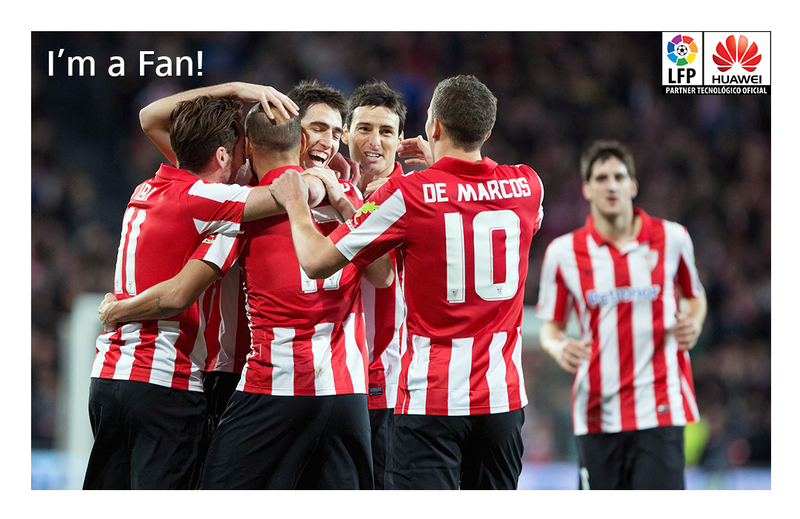 The PlayStation’s Eye camera became the tracking device, when movement is detected, the idle mode turns into a digital canvas where the user can select members of the Spanish football team to take a photo with. The user can digitally send the postcard to their email using a Hua Wei tablet. I lead the design team with the project manager, a motion developer and software engineers to create this application. I created the app user flow and interface design according to Hua Wei’s style guide.